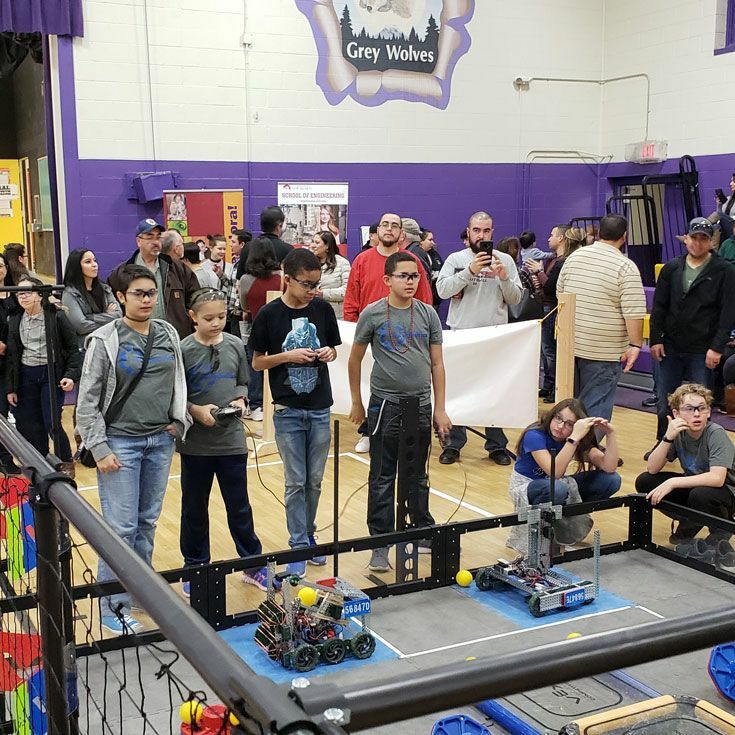 Seven Bosque School teams competed against 29 middle and high school teams from around the state in the 2019 UNM/Garfield VEX Tournament at Garfield STEM Middle School on January 26. The all-day event finished with one of our middle school teams, the E-Lemonators, making it to the semi-finals; one team, the Jalapeno Hotties, winning the Innovate Award for demonstrating a strong combination of ingenuity and innovation in designing their VEX robot; and another team, the Techno Geckos, winning two awards: the Robot Skills Award for the highest score in the driver skills challenge and the Excellence Award given to a team that exemplifies overall excellence in creating a high quality VEX Robotics program. 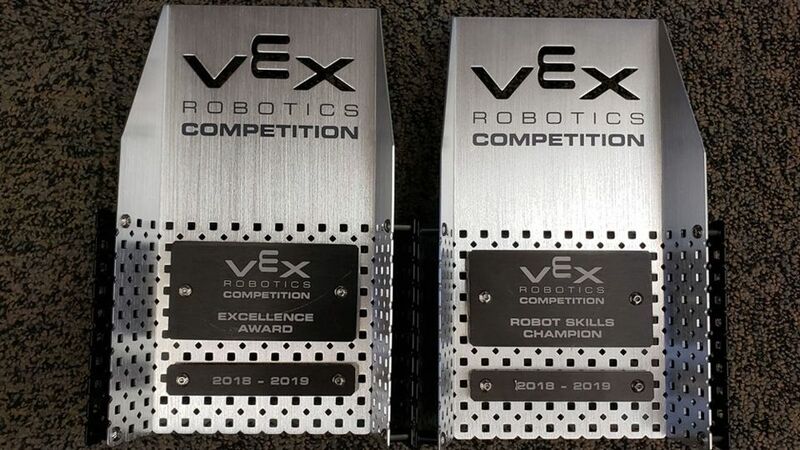 The Excellence Award is the highest award given at a VEX Robotics Competition tournament. 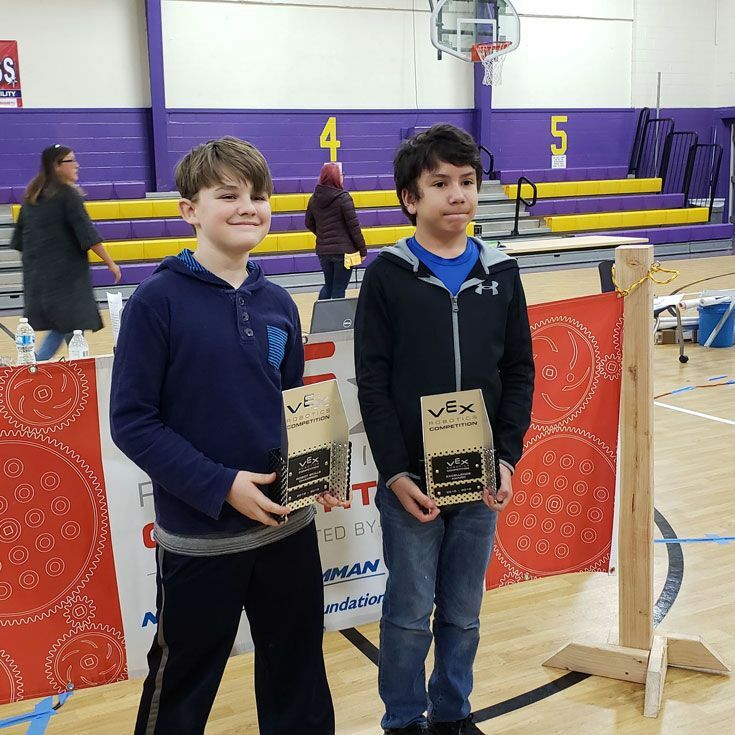 Way to go, Bobcats! 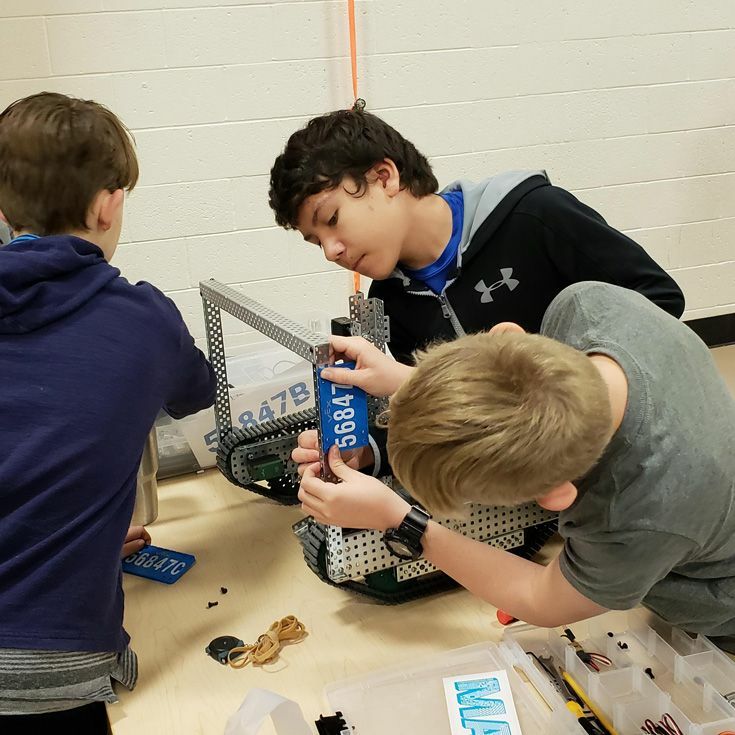 Five Bosque School teams will travel to Las Cruces to compete in the New Mexico State University VRC State Championship on February 15 and 16. Congrats to all Bosque teams and good luck at the state competition!